Morinosuke Kawaguchi is an innovation and competitive strategy consultant, futurist, author and designer. He is the founder and CEO of Morinoske Co. Ltd., a creative future laboratory based in Tokyo. He is the creator of the Morinoske Innovation Model and also of the concept of Gross National Talent and the Gross National Talent Index. In 2016, the updated version of his book, MEGATRENDS 2016-2025, was published by Nikkei BP and in December of 2018, the third update, MEGATRENDS 2019 -2028. Since 2014 he has been an advisor to the ruling Liberal Democratic Party’s National Strategy Headquarters. At first he was invited by the LDP’s Strategy HQ for his ideas on creating jobs and gaining foreign currency, two issues that are crucial for the Japanese government’s 2030 future strategy. [More…] Since then he has been giving guidance on many other issues and continues to do so. Kawaguchi’s first book in his Megatrends series メガトレンド 2014-2023 ( MEGATRENDS 2014-2023) was published by Nikkei BP at the end of 2013. This groundbreaking book of future forecasting has been adopted by the Japanese government and by some of the world’s biggest multinational corporations as the base for their future strategy. Since its first release in 2013, three updated versions of Morinosuke’s Magnum Opus, MEGATRENDS has been published by Nikkei BP. In 2016, MEAGTRENDS 2016-2025, and in December 2018, Megatrends 2019-2028 was published. Thanks to this book, in 2014 Morinosuke has been engaged in the Japanese government’s science and technology policy-planning process while working with The National Institute of Science and Technology Policy (NISTEP), a national research institution under the direct jurisdiction of the Ministry of Education, Culture, Sports, Science and Technology (MEXT). Morinosuke Kawaguchi is often the keynote speaker at innovation forums and international conferences around the world. Yahoo Japan listed his TEDxTokyo Toilet Talks as one of the five best online presentations in the world, and the South Korean search portal Naver Japan chose his TEDxTokyo Toilet Talks as one of the best presentations online, along with lectures by MIT’s Hiroshi Ishii and famous game developer Tetsuya Mizuguchi. In 2017 he was a keynote speaker at The World Government Summit and at The Principals Symposium 2017 in Dubai, and at the Mohamed Bin Zayed Majlis for Future Generations in Abu Dhabi, in the United Arab Emirates. In 2013 he was invited by the Malaysian Prime Minister’s office for a keynote speech at the World Innovation Forum Kuala Lumpur. In 2014 he was once again invited to Malaysia, this time to be the keynote speaker at the Pangkor International Development Dialogue. 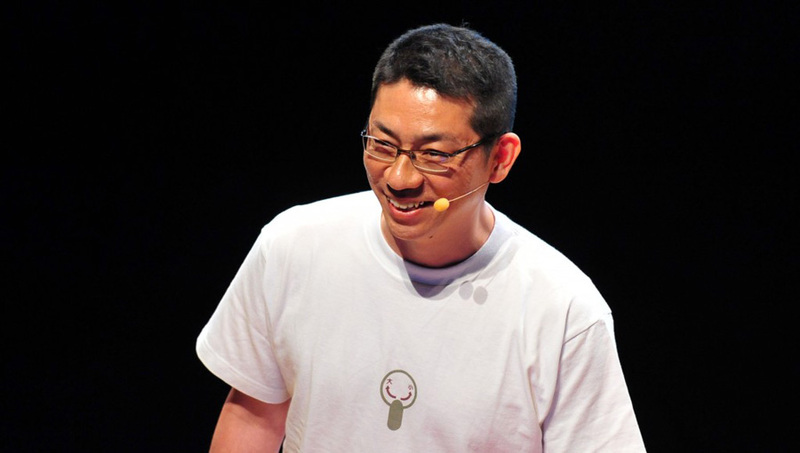 Morinosuke Kawaguchi’s 2013 TEDx talk is about how Japan’s culture of humanizing can lead to greater sustainability. Thanks for watching & sharing it from the TED Talent Search site. Please check the Schedule section for more information. For consulting, design collaboration and speaking engagement offers, please use the Contact Form and someone from Morinoske Co. Ltd. will reply to you shortly. For worldwide bookings, please contact us directly on this website. Looking forward to hearing from you via the Contact Form. Please check the Schedule section for more information. For consulting, design collaboration and speaking engagement offers, please use the Contact Form.